Loren Medina is an adjunct instructor in USC Thornton’s Music Industry program. 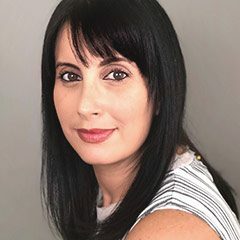 She has worked in the music industry for 18 years – the last nine years with the company she founded, Guerrera Marketing & PR Inc. as a publicist, consultant and artist manager. She previously was a label manager at Sony Music Entertainment, an artist manager and an independent record label owner. Guerrera Marketing & PR Inc. is a hybrid agency focused on public relations, marketing, consulting, and brand partnerships representing avant-garde Latin Urban bilingual artists who strive to create their musical lanes. Medina’s company focuses on generating ideas that persuade, cultivate, and establish a following for their clients. She seeks to create unique and effective marketing campaigns for music artists, film companies, record labels, and events such as concerts and film festivals. Medina is currently the manager of two-time GRAMMY-nominated artist-production duo COASTCITY. Prior to founding Guerrera Marketing & PR, Medina founded and co-owned Digital Girl Inc., a publicity and digital marketing company whose client roster included music icons such as Shakira, Maná, Calle 13, Ricky Martin, Aventura and companies such as AEG, Live Nation, Universal Music, Epic Records, Sony Music, SESAC, and Quincy Jones Productions, amongst others. Medina earned a Bachelor of Arts in Psychology from Boston University, and a Master’s in Communication Management from the USC Annenberg School of Communication and Journalism. She has been invited to speak at universities and conferences such as the Latin Billboards, Digital Hollywood, Latin Alternative Music Conference and Hispanicize. Additionally, Medina is an avid globetrotter (45 countries, six continents), philanthropist and mentor who founded the non-profit Travel With Purpose in 2014 with the mission to support women and girls by funding projects to empower them financially. Las Rosas Honoree (2016) – Selected as an honoree on behalf of the Caribbean Central American Association (CCAA) with the support of the California State Senate and the office of Senator Kevin de Leon for her work with her NGO Travel With Purpose.